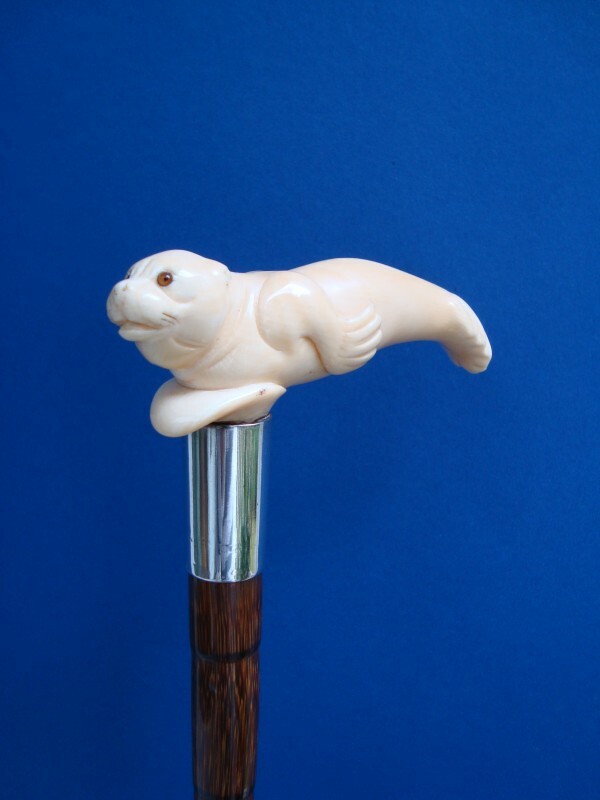 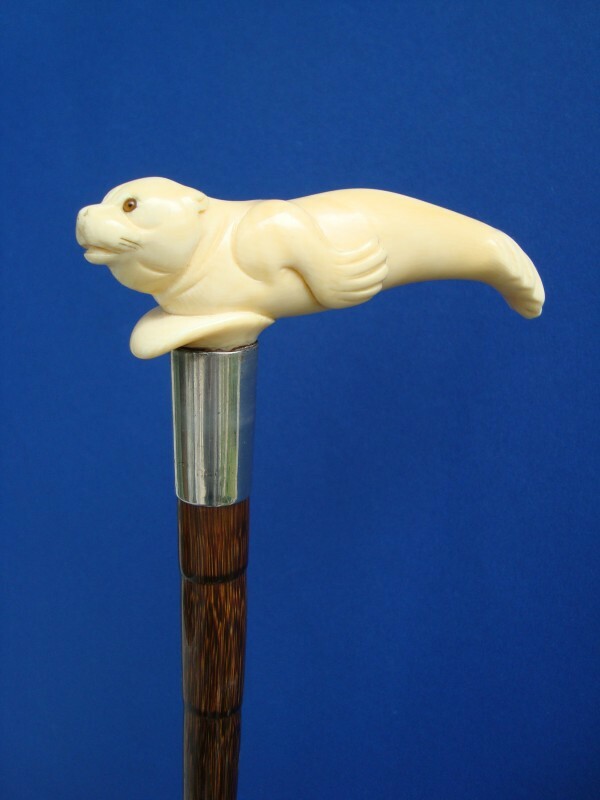 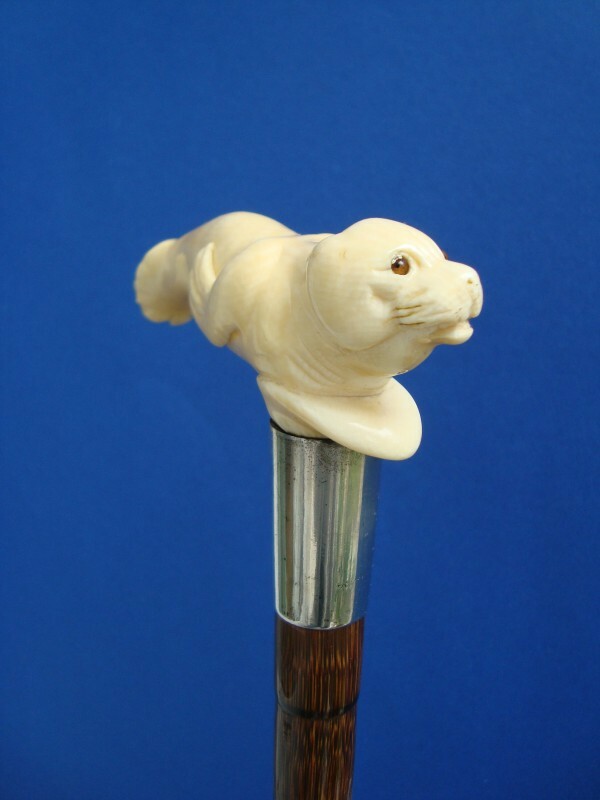 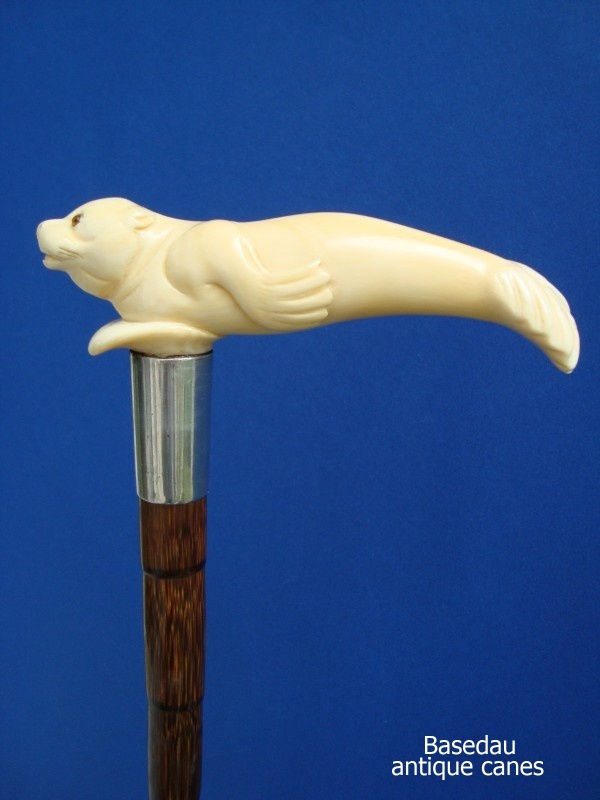 Walking cane with a carved ivory seal second half of 19th century. 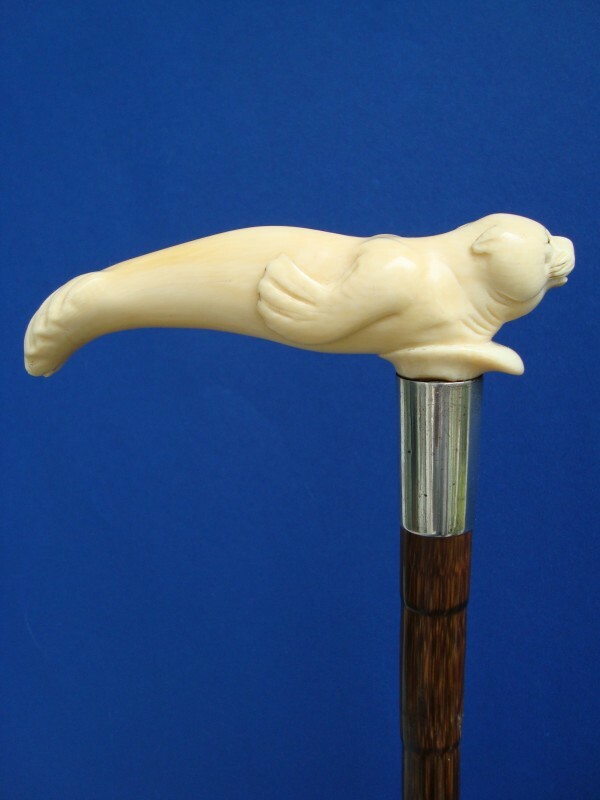 The handle is fitted on a long silver collar and a patridge shaft with a brass ferrule. 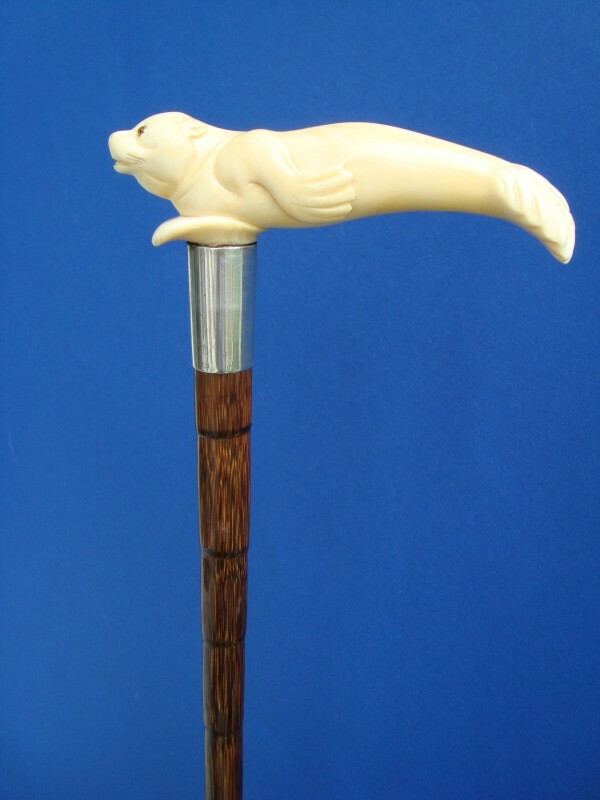 Measures of the handle H. 4 cm, 1,6 “ W.14 cm, 5,5” overall length 89 cm 35”.